Australian university student, Lewis Merryweather stated that he often encounters negative reactions at university when he declares himself a feminist ­– especially when he’s tried to get his male friends to go to feminism talks with him. In thinking about my opinions on this issue, I soon realised that I was hardly qualified – I’ve just started a PhD focusing on the representation of the animal “other” and the feminine “other” in science fiction literature; it relate,s but I’m not an expert. So, I turned to a friend of mine who is also a PhD candidate and asked her what she thought of the issues that Merryweather discusses. 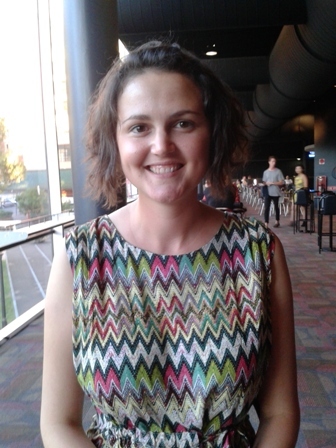 My friend is Sophie Robinson, who is a PhD candidate in Women’s Studies at the University of New South Wales. Her thesis is exploring the lesbian presence in Australian feminism from 1969, and the interrelation between feminist, lesbian, gay and queer politics in Australia during the 1970s and beyond. I asked her to answer a few questions about the ways in which she has experienced men as feminists throughout her studies. How do you respond to the blog written by a male uni student, Lewis Merryweather, who says that ‘lad culture’ and women are making it difficult for a man to declare himself a feminist? It’s clear that this young, white male uni student, Lewis Merryweather, is very concerned with how men can access a feminist identity in the contemporary world in which gendered discrimination is still rife. This is encouraging, and vocal supporters of feminism (men and women) are to be applauded. There are of course major issues with the way that “lad culture” can dominate campus life at some universities (particularly in Westernised contexts) whilst “other” types of men and masculinities are derided – particularly those who show an interest in feminism through taking a Gender Studies course, for example, for attending a feminist talk, or even just by showing disdain for male chauvinist behaviour on campus. What is interesting is that in my experience as a tutor for an undergraduate Women’s and Gender Studies course I had very few male students, and yet they were some of my best. They were prominent in class discussions, willing to impart ideas, to hear answers from their female colleagues and to collaborate with them. Studies of student involvement in Women’s and Gender Studies course (which analyse the correlation between learning about feminism and developing a feminist consciousness) have suggested that I am not the only feminist tutor to have experienced such promising results amongst male students. However, none of my students nor male WGS colleagues (that I know of) claimed a feminist identity. I think that for many men who take Women’s and Gender Studies they would prefer other labels to “feminist’ to signify their alliance with feminism, such as “queer” or indeed, even “male feminist”. These are important distinctions. I’m not sure about the generalisation that female students are making it difficult for men to declare themselves feminists. This is rather misleading. In fact, the assertion that only a female-identified student can be a feminist is not promoting “a lack of inclusivity” but expressing what has been an important part of the feminist project throughout the world – for women to be able to access empowered and affirming spaces amidst not only a “lad culture” at universities, but an entire world that denigrates female experiences and identities. The article also seems to suggest that all women find it easy to claim feminism as their own, and therefore actively police its borders when it comes to men. However, as we’ve sadly seen time and time again, not all women identify as feminists, many (especially younger women) have trouble embracing the term, and even more do not know of its ongoing history throughout the world. What is male feminism to you? How is it difficult/easy for men to become feminists? Can they become feminists? When conducting research about men in the Australian feminist movement for my Honours thesis, ‘Comrades, Companions and Combatants: Men in feminism in Australia, 1969-2000’, I soon realised that men have, and continue to, engage with feminism in different ways, as academics, writers, and especially as gay and queer activists. The article suggests however that some men want to embrace the term feminist without interrogating the history of feminism, particularly how its theories and practices have changed. Also, as I argued in my Honours thesis, becoming a feminist is just that, a becoming – a laboured, cumulative and transformative process. It can seem quite obtuse when men claim it so readily and simply; no wonder feminists can seem “defensive”. We have a lot at stake. My research, as well as my personal and professional relationships, have shown me that men can and have been allies of feminism (thanks in large part to the gender politics of the movement itself and the way it transformed men and women’s understandings of themselves). Talk a little bit about your current research and its impact on feminism especially in Sydney/Australia? My research spans a range of disciplines and topics including the history of Australian feminism, lesbian feminism and masculinity politics (mainly in an Australian context). I am particularly interested in the ways transnational feminist movements and debates manifested in Australia and transformed gender relations, sexualities and identities here. I am currently working on my PhD in Women’s Studies, looking at the lesbian presence in women’s and gay liberation in Australia during the 1970s and ’80s and the development of political lesbianism/lesbian feminism in the 1990s amidst the “queer” turn in politics and social activism. What is the current status of feminism in Australia? I would say that feminism in Australia has changed a great deal over the last few decades and that it means many different things to many different people. I would also suggest that in order for feminism to continue being the dynamic and transformative force it has been for many women – and men – in Australia since at least the late 1960s, we need to ensure that people have access to learning its extensive history. In a more personal setting, where I live and study as a PhD student in Women’s Studies in Sydney, feminism is everywhere. It’s what I live and breathe, talk about, research and have chosen to dedicate my life to. This is the same for other women around me. The men in my life also have feminism on their radar, and whether or not they claim a feminist identity, they certainly acknowledge a need in our society to transform the status of women in Australian society, and they discuss this need openly and vigorously. In this sense, feminism is thankfully still a transformative force, continuously inviting debate and shifts in perspective across the gender divide. This entry was posted in Feminism and tagged feminism, men. Bookmark the permalink.